Home Archive Is the current Swindon squad deep enough to sustain a League 2 promotion push? Is the current Swindon squad deep enough to sustain a League 2 promotion push? Trust STFC Board member Daniel Hunt was at the County Ground on Tuesday night, to see the Chelsea Under 21s comprehensively outplay Town’s half and half side, running out 4-0 victors. 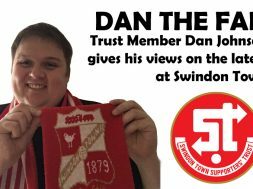 Which has prompted Dan to ask the question – is the current Swindon squad deep enough to sustain a League 2 promotion push? Before I get stuck-in, I must caveat the following piece by emphasising that I did not see any of Swindon Town in pre-season, and the standard of opposition from Chelsea U21s last night was far beyond what we saw when Town overcame the same opponents back in 2016/2017. That night, set-piece goals from Raphael Rossi-Branco and Nathan Delfouneso helped a mixed STFC side physically bully their academy opponents. But this was absolutely not the case on Tuesday, where a highly organised and highly motivated Chelsea U21s side hounded and harassed their Football League adversaries into submission. When they had the ball, there were no issues with finding pockets of space to attack the Swindon defensive line. The Chelsea youngsters were technically brilliant and very tricky, meaning that the STFC fouls count regularly ticked over – including one in the 18 yard box, which man-of-the-match Charley Musonda tucked away with aplomb. Okay, so it was a chastening evening, but what did I learn from my perch in the Arkells Stand? My biggest disappointment of the evening was ex-Chesterfield man Jak McCourt, in his first start for his new club. He comes with the reputation of being a bit of a ‘dirty-bugger’ and a scorer of spectacular goals, but we’ll have to wait a bit longer to see either of those qualities, with him limping off after approx. 75-80 minutes injured. In the holding midfielder role, the game quite simply passed him by, I would suggest that a lack of fitness in the face of a dynamic Chelsea U21s side, didn’t help him in this regard. Can think of a couple of examples where McCourt passed the buck to defenders, rather than attempting to make play himself. Much better required. On his second debut for Swindon, Toumani Diagouraga fared slightly better than McCourt, but that’s not saying much. Before a ball was kicked, my initial feeling was that the young, rangey, Diagouraga we saw under Iffy Onoura, had turned into more of a top-heavy midfield general. In all honesty, he looked heavy and certainly not as mobile as I had hoped he would be. To try and give you a tangible example of the mixed blessings, late on into the game Diagouraga brushed the Chelsea U21s left back off the ball (and into the gravel in front of the Arkells Stand! ), before striding into space and inexplicably floating a tame cross 3-4 yards over the cross-bar with forwards well placed to get onto the end of a pinpoint cross. Frustrating evening, match fitness required. I was pleased to see Sid Nelson handed his debut next to Dion Conroy at centre half, I was very keen to have a look and judge for myself. Let’s start with some positives, building on some of the feedback from Millwall fans – Nelson was clearly quite animated/passionate and communicated with his team-mates throughout the match. But he’s certainly not the grizzly monster of a centre-half that Phil Brown is after for the campaign ahead, striking a similarly lean build to Olly Lancashire. In the face of his very skilful opponents, Nelson couldn’t shore up a leaky defence, not helped by having the inexperienced right-back Dunne to his right. Hopefully this will be Nelson’s worst night in a Town shirt. More to come please! Note – I was delighted to see Dion Conroy come through his second set of 90 minutes in a week, after what must have been a nightmare 9-10 months for him. 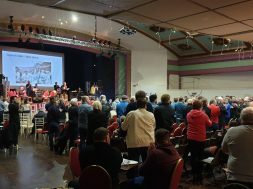 Well done Dion! Welcome back. How to describe Elijah Adebayo for those who’ve not seen him? You can certainly use words like “raw”, “leggy”, “frenetic”, etc. With the limited service he received, mainly in the air, he was ploughing a lone furrow, with McGlashan and Twine seemingly 20-30 yards away from him at times – such was the incessant nature of the Chelsea U21 press. Too early to judge I’d say, and I was pleased to hear that he was a handful for the Macclesfield defence. Worryingly, Adebayo looked knackered, as well as hobbling, in the latter stages of the game. With Marc Richards still out of action, Town require another big performance from young Elijah up at Sincil Bank (land of the giants!) on Saturday. With some polishing – Adebayo could become a handful for League 2 defences. So what of those knocking on the door from Swindon’s academy? Young centre-forward Sol Pryce can walk tall this morning, comfortably claiming to be the best of the lot on the night, despite only being on the pitch for 15-20 minutes. His physique and pace allowed him to finally put a bit back on the Chelsea defence, something appreciated by the small 1,579 crowd. It’s a limited sample size, but Pryce was direct in style, looking to take on the Chelsea left back at every opportunity. Nice one Sol! Joe Romanski played in the unfamiliar left back position, owing to his left-footed-ness, and after a shaky opening 25-30 minutes, he settled down to his task well. He was pretty comfortable on the ball later in the game, which will benefit him in the long-run for sure. He just looks like the type who will grow and learn quickly in the professional environment – maybe not seeking international honours for Poland (as Sean Hodgetts would have you believe on BBC Wilts), but certainly an exciting prospect for Swindon Town in the short-medium term future. Scott Twine spurned Town’s best opportunity in the first half, skewing wide of the back post on his left foot when really well placed. He also blazed a 19-20 yard free-kick into the Town End in the second half, which summed up his frustrating evening. Like Adebayo, struggled with the service he received at left-wing, but plenty of endeavour and he’s certainly not afraid to shoot – something I highly value in a forward player. Tough night, keep improving Mr Twine. Final word for Jordan Young, victim of far too many injuries to mention over the last 12-18 months. Sadly, he was removed from the fray some five minutes after coming on, looking dazed and confused. Think he must have taken a knee to the head, because he looked like a boxer who’d just lost, bless him. Regular football surely required for Jordan Young to kick on – Chippenham Town loan move calling? 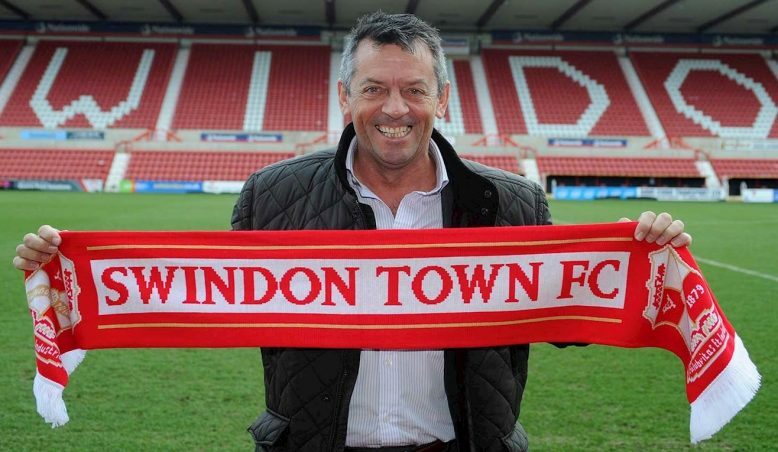 Phil Brown still has a bit of work to do ahead of the Transfer window closing on Thursday then? This is how I saw it on the night. Were you also at the game, got a view to add? 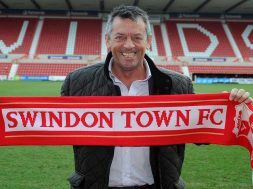 Get in touch through the Trust STFC Twitter/Facebook pages. Thanks for reading.